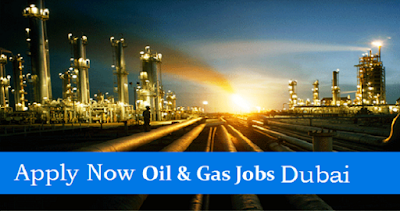 Oil and Gas Jobs in Dubai. The Middle East is famous all over the world for its oil and gas industries, so it is no wonder that there are so many vacant positions in this sector in Dubai. An ever-growing field, there is constant demand for employees to take oil and gas jobs in Dubai, and there are positions to suit a wide range of applicants who have a variety of qualifications, experience and skills. For those who are new graduates, many of the top oil and gas companies have graduate roles available, offering a first step on the ladder of a lucrative career, whereas for those who already have work experience in other industries, there are often jobs available for those who have transferable skills. 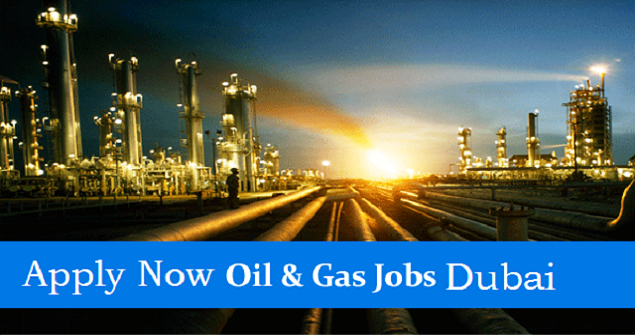 There is wide variation in the types of oil and gas jobs in Dubai that are available for applicants to apply for. Perhaps the most advertised positions are for pipeline project engineers; however there are also frequently posts advertised for team leaders, system administrators, equipment engineers, project managers, logistics controllers and field development engineers. For those who are interested in permanently relocating to the Middle East, there are often permanent positions available with long term contracts; however for those who are only interested in staying in the country for a shorter length of time, there are often plenty of temporary contracts too depending on the needs of current projects. If you already have some experience in the oil and gas sector, the world is your oyster if you wish to relocate to Dubai. Whether you prefer the idea of an onshore or offshore position, top UAE oil and gas companies are keen to take on employees who are already qualified and experienced in similar roles. There are many exciting opportunities available in the development of oil and gas projects across the Middle East giving the chance of working with highly skilled teams in the process engineering industry. These positions can attain high salaries with excellent take home pay thanks to the tax situation in Dubai. Even if you have never worked in the gas or oil industries before, there are several different types of career opportunity within Dubai for those who have skills that can be transferred. Anyone with strong commercial or technical skills can find work in the support side of the Dubai gas and oil industry. Although the opportunities for entry level roles are more limited, there are possibilities for those who wish to begin a career in the oil and gas industry from scratch to access offshore positions, for example as a welder, mechanical technician or electrician, by attending a training course run by one of the major players in the UAE gas and oil industry. Some of the best known oil and gas companies have their own training departments who specialize in helping those with only basic skills to gain the knowledge that they need to take the first step onto the career ladder. The top oil and gas companies are all keen to offer talented graduates positions within their firms. Focusing on giving high flying graduates the best possible insight into the industry, graduate positions allow successful candidates to learn on the job while receiving the essential training and experience that they need to progress rapidly up the career ladder. Graduates will learn by embarking on challenging projects under the tutelage of an experienced mentor while developing their leadership capabilities that will enable them to take on a more senior role in a short space of time. The necessary qualifications to obtain a role in the oil and gas industry in Dubai will vary depending on the position. Often, an engineering degree is essential, sometimes with specific engineering qualifications in the case of more senior positions. Experience is also vital for more advanced roles, with between two and five years in a related industry being the minimum expected. The internet is the obvious place to start when searching for oil and gas jobs in Dubai. The leading companies in the industry all advertise current vacancies on their websites and many general job sites will also list a variety of jobs within the sector. There are also a number of recruitment agencies that specialize in this field and will be able to pair suitably qualified candidates with the right position for them.